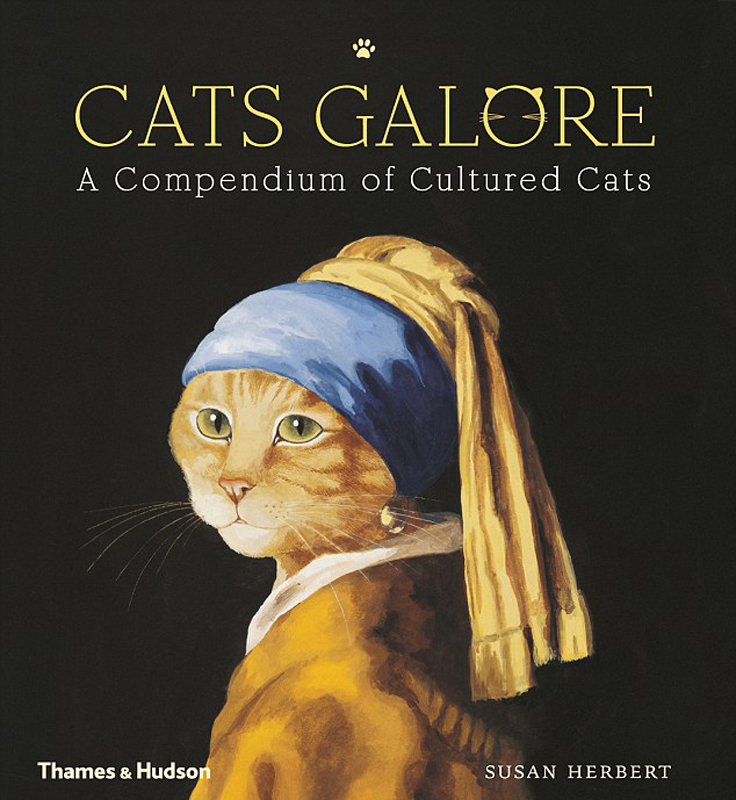 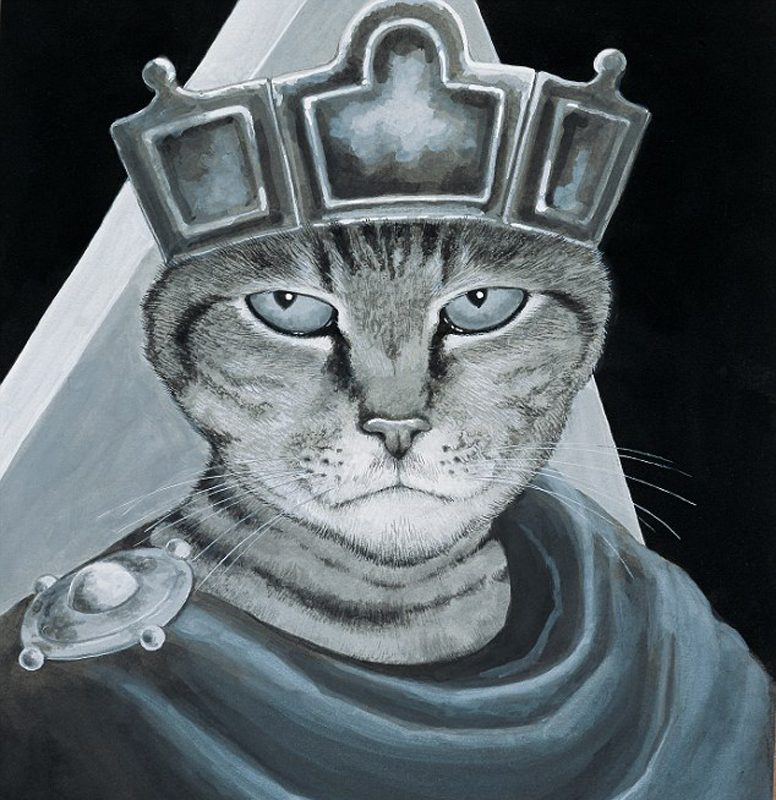 Reported by me, I saw a new work named “Cats Galore: A Compendium of Cultured Cats” by Susan Herbert. 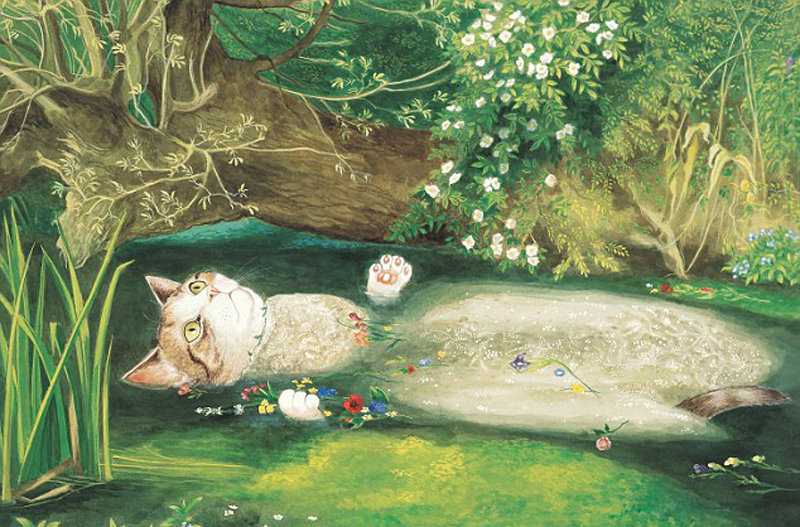 She is a printer who is printing cats in major. 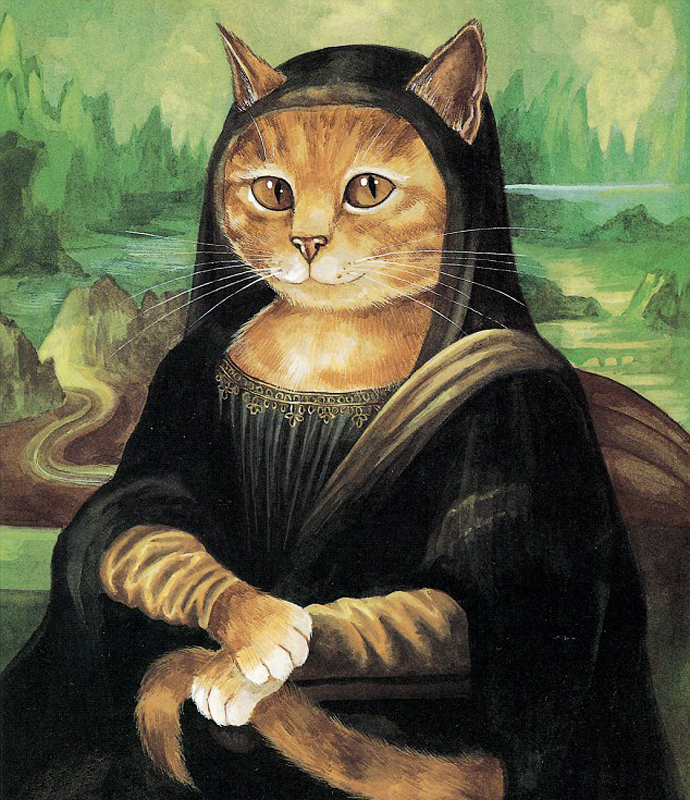 And in recently, she printed many classic art sample reels like < Mona Lisa >, < the Girl with the Pearl Earring > and < The birth of Venus >. 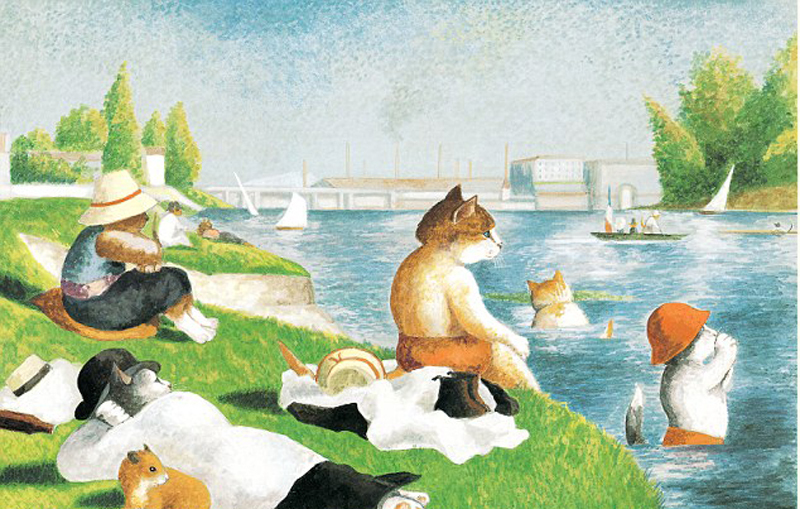 Besides, Herbert collects others movies’ and dramas’ classic moments, like < The Tramp > and <The Sound of Music >. 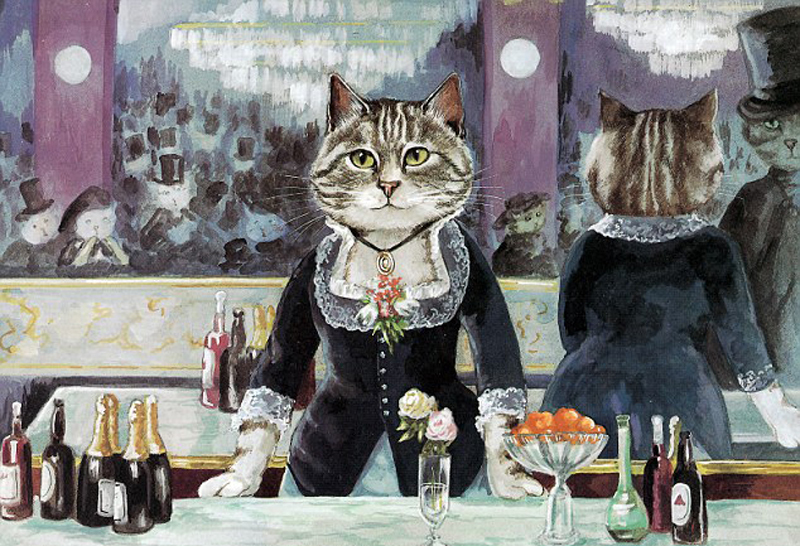 In all of these images, cats are very special in the major subject, it is vert attracted and impressed! 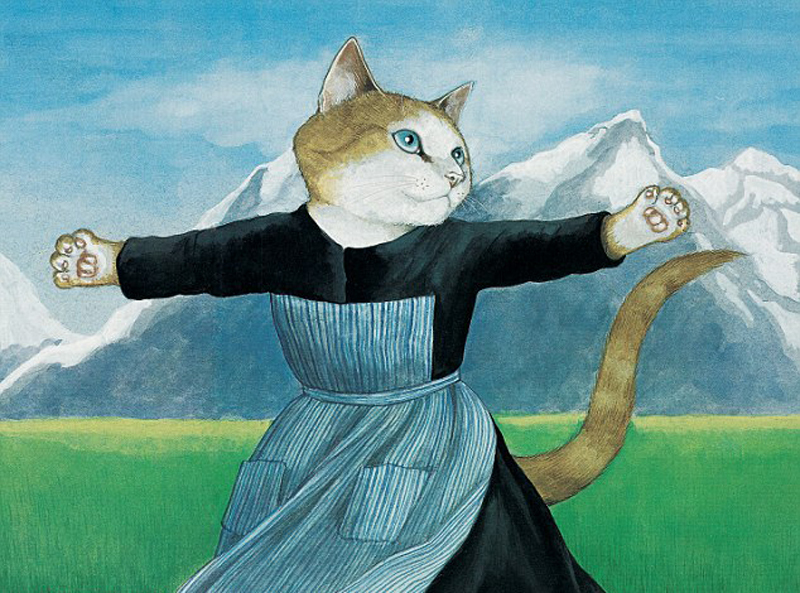 Susan Herbert was one of the most distinctive of contemporary cat artists, who produced consistently crafted watercolors that respond with wit and affection to the imagery of Western culture. 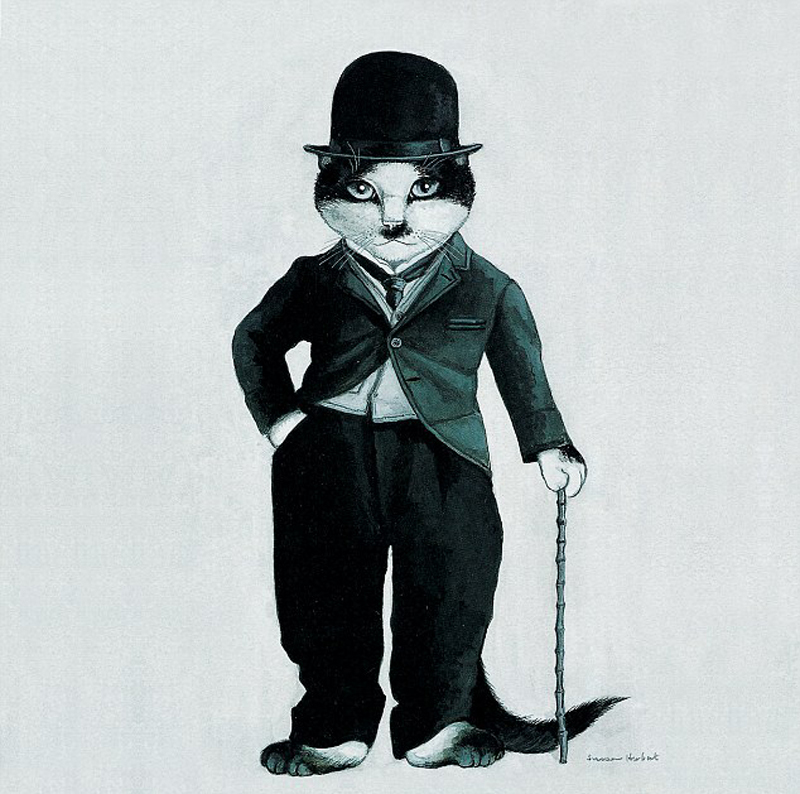 The long traditions of painting, theatre, opera and ballet, and the newer art of cinema, are explored and refreshed in intelligent and entertaining parodies, in which cats – and other favorite animals – appear as protagonists: from Botticelli’s Birth of Venus through Puccini’s Tosca to Greta Garbo as Mata Hari. 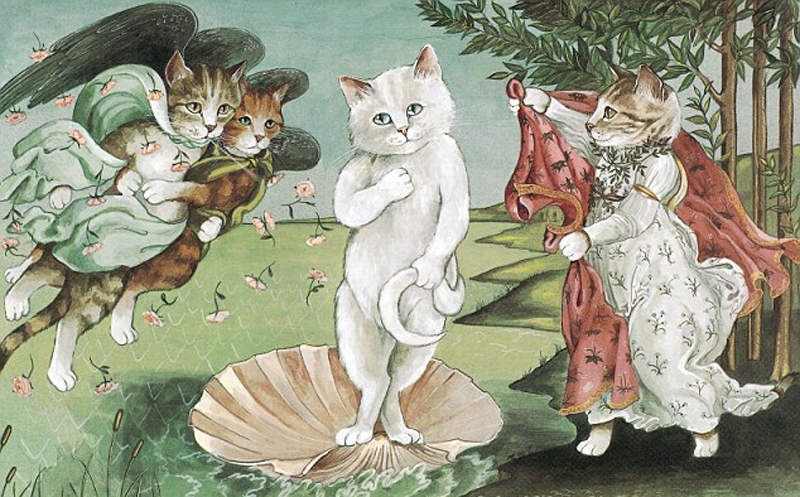 Since the mid-1990s, these delightful works have played an essential part in the Chris Beetles Gallery’s annual summer cat show. 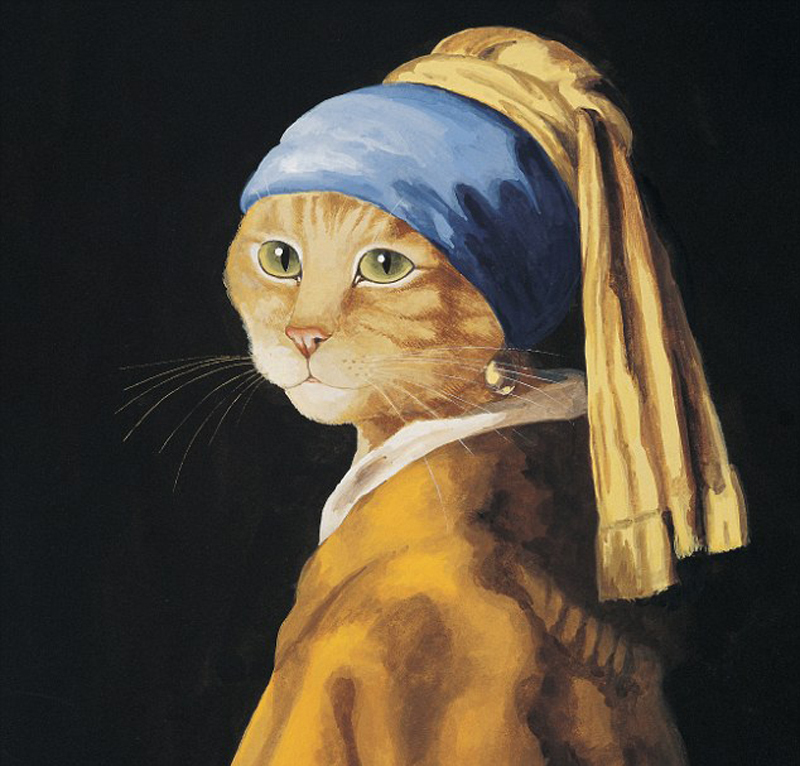 Love this cats fashion and hope you can enjoy it!